This is a flickr meme that I found through Nancy. The pictures are not mine, but represent my favorite results for searches for (1) my name (2) my favorite food (3) my high school (4) my favorite color (5) my celeb crush (6) my favorite drink (7) my dream vacaction (8) my favorite dessert (9) what I want to be when I grow up (10) what I love most in life (11) one word to describe me (12) my flickr handle. 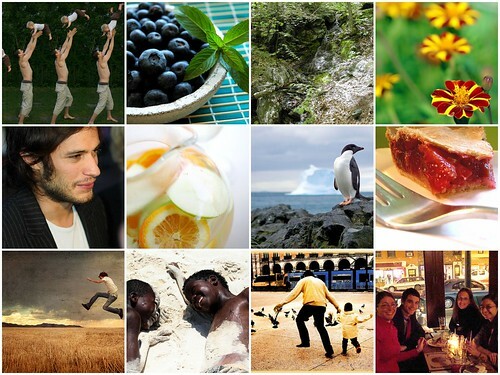 For notes, photo credits, and rules, click on the mosaic and it will take you to flickr.